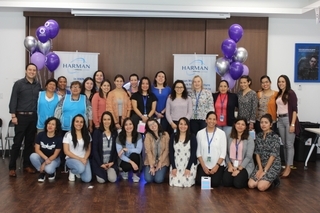 BENGALURU, INDIA – HARMAN (NYSE:HAR), the premier connected technologies company for automotive, consumer and enterprise markets, today announced that it has launched its global corporate social responsibility initiative, ‘HARMAN Inspired’, in India. Through this initiative, the company aims to empower the next-generation to realize their potential through the power of music, technology and community service. As part of this initiative, HARMAN has pledged support to one of India’s foremost theatre, Ranga Shankara - a world-class auditorium based in Bengaluru. Founded in memory of the hugely talented theatre, film and television actor, Late Shri. Shankar Nag; Ranga Shankara is dedicated to nurturing the art of theater by making it more accessible to the masses. “At Ranga Shankara, we believe in keeping the theatre alive by investing in the new generation and giving them opportunities to use the space to explore their creative potential. This is made possible with support of companies like HARMAN, and we’re very pleased to partner with them towards this goal,” said Mrs. Arundhati Nag, Founder & Managing Trustee of Ranga Shankara. 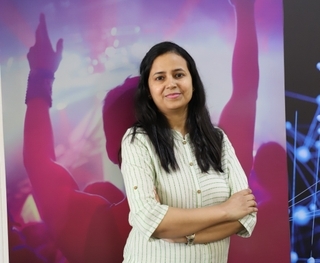 HARMAN has also extended its relationship with A.R. Rahman’s KM Music Conservatory, a music college based in Chennai, by supporting their ‘Sunshine Orchestra’ project - a program specifically designed to impart free music education to talented children from less privileged backgrounds. The brainchild of the maestro himself, the Sunshine Orchestra project has identified, selected and trained more than 100 students from economically underserved sections of the society; otherwise having no access to music instruments, training or guidance. These students have undergone rigorous training on western classical music from various legends in this field. The project aims to train more than 200 such students in the next two years. "Everybody works towards a cause that is close to their hearts and for me nothing is more exciting than nurturing music education and gifting it for future generations. With generous support from institutions like HARMAN, projects like ' The Sunshine Orchestra' can become the right platform for this cause," said Mr. A. R. Rahman on the partnership.